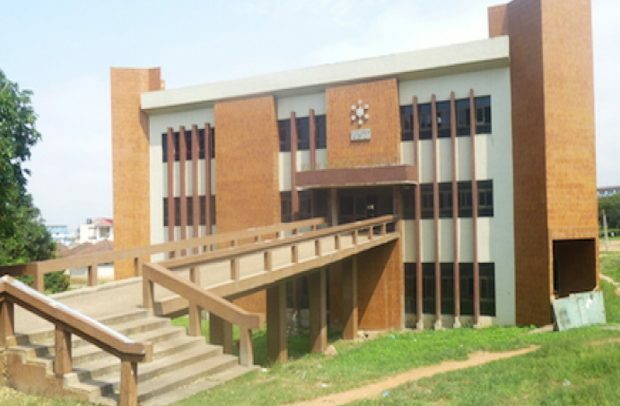 Dr Karikacha Seidou, Dean, Faculty of Art, Kwame Nkrumah University of Science and Technology (KNUST), Kumasi, will deliver a keynote address at the Museum of Science & Technology in Accra on Monday, August 6 as part of the opening ceremony of an exhibition of photographs titled ‘Architecture of Independence – African Modernism’. Organised by Goethe-Institut Ghana, in collaboration with the National Museum of Ghana, Museum of Science and Technology and blaxTARLINES KUMASI, an art space at the College of Art and Built Environment (KNUST), the exhibition will feature images of post-colonial structures from Ghana, Senegal, Cote d’Ivoire, Kenya and Zambia, which were taken by Iwan Baan (Holland) / Alexia Webster (South Africa) and curated by the German academic Manuel Herz. A series of panel discussions curated by artist/academic Dr Bernard Akoi-Jackson will form an integral part of the exhibition, which will be opened by the Acting Director of the Ghana Museums and Monuments Board, Dr Aba Eyifa-Dzidzienyo and the Director of Goethe-Institut Ghana, Anne Eberhard. Topics slated for presentation and discussion include ‘between the high sea and a very hard rock: modernization. modernism’, ‘revisiting the threat and manifestation of neo colonialism in Africa’, ‘better off in the bush: on slavery, colonialism and truncation of development in Africa’ and ‘exchange. exchanger: before, after and hence, Ibrahim Mahama confronts Max Gerlach, Drew, Fry and Owusu Addo’. Panelists include Prof Owusu Afram (lecturer, KNUST) Bärbel Müller (lecturer, University of Applied Arts, Austria), Nontombeko Ntombela (Wits University, South Africa), Prof G.W. Ntsiful (lecturer, KNUST), Nat Nunoo Amarteifio / Joe Osae Addo (architects – Ghana) and Ibrahim Mahama / Kwasi Ohene Ayeh (artists / PhD students, KNUST). The exhibition, which ends on Monday August 27, is being sponsored by Goethe-Institut Ghana. It was first shown in Germany and is currently touring a number of countries in Africa. It will also be displayed at the blaxTARLINES space in September 2018.